The market has recently seen the release of a number of new, small, electronic instruments that cater to musicians who want to create and manipulate beats, tunes, songs on the fly, unhindered by menu-diving or unwanted complexity. In a stroke of genius, the concept of sync was also simplified and stripped down to its foundation: A simple clock, that just informs the connected devices of the time to advance to the next step every fraction of a beat. 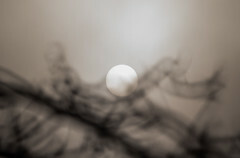 A clock pulse can be used, or indeed the individual output of a drum sound of a drum machine, etc. In the old days, MIDI Clock usually carried Start/Stop and sometimes Song Position information, making it possible to control the flow of an entire song from one device. This made sense when a single sequencer was used to compose and playback the entire song, but freeing the sync information from everything else actually makes it easier to create songs and soundscapes with modern gear. Individual instruments can be stopped and started without interrupting the flow of the overall beat, machines can be offset but still in sync creating interesting beat variations, and several musicians can collaborate and operate different gear without interfering with the pulse of the song. While the speed of the sync pulse differs somewhat between devices, they can usually be setup to agree, and I have successfully synchronized my Pocket Operator 14, two Korg Volcas and Arturia’s Microbrute arpeggiator to MIDI clock. In my case, I used an old Doepfer MSY2 sync unit, so that is what I will describe here. 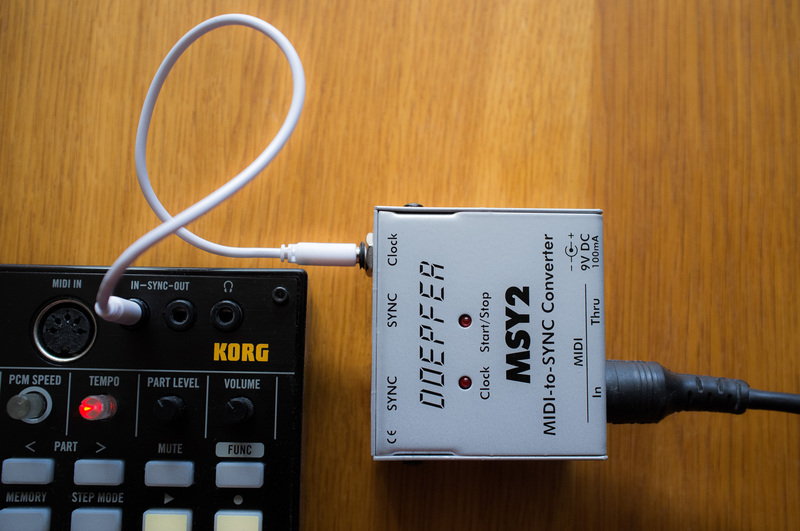 Apart from the two DIN-Sync outputs, the MSY2 also features a sync pulse conveniently available on a mini-tele jack that can be directly connected to the instrument chain. But with its default setting, the sync pulse is much too fast, mimicking the DIN sync pace, leading to the Korg Volca screaming in agony if we just connected it. Unless you are making clock speed noise beats (in which case you can stop reading here) we need to find a way to divide down the pace of the clock. Fortunately, the MSY2 provides just such an ability – albeit hidden beneath, in a cryptic dip-switch manner. Reading the manual for the MSY2 reveals how this can be done – by toggling the first four switches on the flipside of the unit to the “OFF” position in a way representing the correct dividend, the clock can be slowed down appropriately. Let’s see how this works out for the Korg Volca. For you non-computer geeks out there, it doesn’t really help to be informed of such things as the format of the dividend being binary etc. Just think of the switches 1-4 in “OFF” position representing the numbers 8, 4, 2 and 1 in such a way that switch 1 in “OFF” equals 8, switch 2 in “OFF” equals 4, and so on. 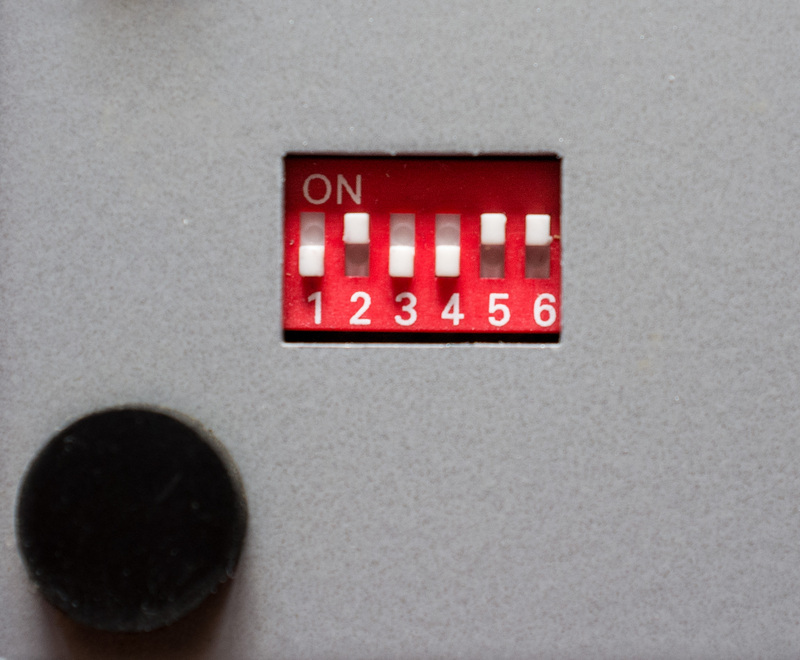 Switches in “OFF” position have their numbers added, and as Doepfer moves in mysterious ways, a single “1” is added to the end result. This means for instance that a dividend of 6, switches 1 and 4 needs to be in the “OFF” position, switches 2 and 3 in “ON”, and the result will be 4 (switch 1) + 1 (switch 4) + 1 (Doepfer constant) = 6. So, where do we end up with the Volcas then? As it turns out, the Volcas feed on a clock signal of 1/8th beat, while the MIDI sync is generated every 1/96th. Thus, we just need to calculate that 96 divided by 8 equals 12, to find out our dividend! In Doepfer settings, this means that we need to set switches for the values 8, 2 and 1 (equals 11, and when 1 is added, becomes 12). If you can’t be bothered to figure out the switches I included a picture of the correct switch configuration to the right. Simple as that, and now the Korg Volca should sync correctly to your MIDI sequencer of choice, and happily pass the correct sync down the chain to other units as well. Before moving on, a word of caution: You have to use a mono cable between the MSY2 and the Volca. I am not sure why, but when I tried using a short 3.5 mm stereo cable, the sync clock always seemed to reach the Volca at full 96ppq speed no matter the switch settings, which had me confused for a couple of minutes. Perhaps the stereo signal can be used to send different clock speeds to different units – and that is something that I have to test next! Finally a good workflow to sync midi to the Sync in of the volca’s! Will this also trigger the start/stop of the Volca’s in this way? or only sync the bpm? Thank you for this article. I have been having issues getting them to sync via midi and Ableton. Every 5th measure the sync is on and then off again. I have changed the Volca to “auto”, changed my midi sync settings in my Daw, used the “external instrument” device to route it in, in ableton. I am getting the tempo synced but not that actual beat. I then tried to create a midi click track for them to quantize to and still is off. 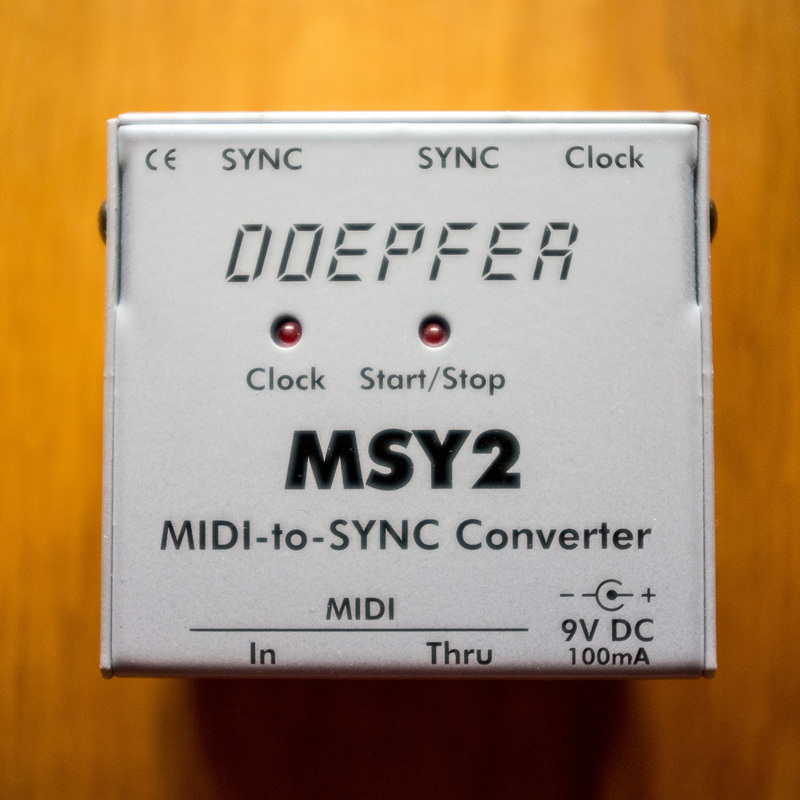 Im thinking of buying the Doepfer MSY2 but am unsure what the power supply is , as most of them do not come with power. Any chance you could post a picture. Also, an insight is welcome. Hello, and thank you for stopping by! I rarely sync hardware and software myself, so I’m not sure I can help you with this. I know people sometimes have problems with Ableton and MIDI sync, some things seem to worker better than others. What you describe is strange though- do you mean that there is a short bit of lag every 5th measure? The MSY2 is designed to try to power itself from the MIDI port to work without a power supply. I use it that way with most of my hardware gear, and my MIDI interface from the Mac. I am struggling with Korg Volca sync to tape issues. 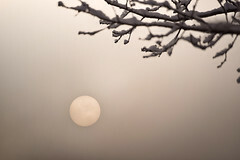 This wasn’t useful for my situation, but the information will prove to be useful later, so…. To sync (with start / stop – critical for me!) 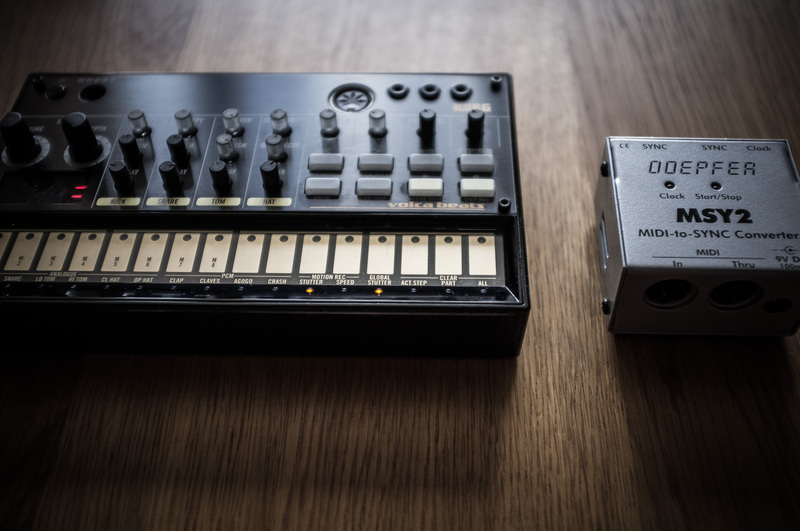 two Volcas to an external master midi device – am I best to just use a midi-thru box and connect the midi out of the external device to the midi in of both Volcas? It seems crazy to have sync without start / stop! Makes the sync leads almost useless, for me at least. I see your point, but for live performance, a pure clock pulse without start/stop is actually more useful, as you can drop Volcas and other instruments in and out of the music without affecting other instruments and still be in sync. With older MIDI gear, this was usually not possible, or very difficult to achieve. When I want to use the Volcas more in the vein of older hardware, I’d do as you suggest, and use a MIDI splitter/thru. Having discussed this with a few more gear heads, and having played with it a bit more – I get it now. I think it was the fact that it didn’t work like I expected that made me initially think it was a flaw. Hi, by no means I want to hack this conversation but do you also know about the Retrokits RK-004? It can do MIDI to Sync but also do the tempo divisions on a much wider scale, it also does clock modifications on midi itself so you can play around with polyrhythmic sounds. No worries, thanks for the tip! Hello. All the above applies to the situation where one sends the pulse via this “sync” input, however one might prefer to feed the pulse to a Volca via the midi input. Will, in such a case, a Volca “happily pass the correct sync down the chain to other units as well” via the “sync” patch cable, as well? Please assist. Yes, that should definitely work, I will try it out later today to be sure. The pulse is always present according to documentation. Hey there thanks for this !! Would the inverse also be possible ? For example ; sync a microkorg from the volcas ?